Today was the last day (Day #7) of Chocolate and Rocky Road Theme Week. 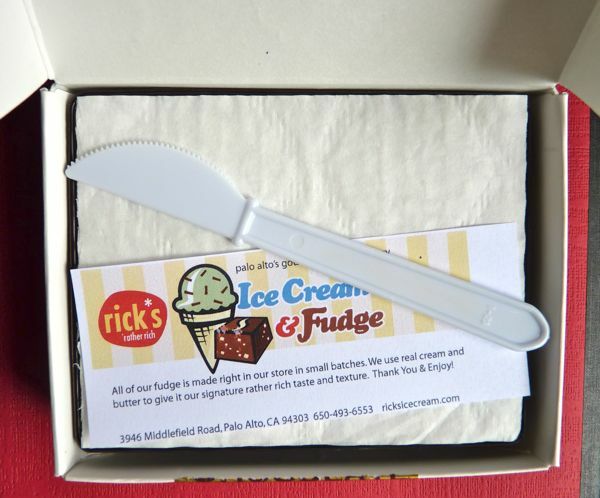 I started with some Rick's Rather Rich Chocolate Walnut Fudge -- packed in its own box, with small white plastic knife included. 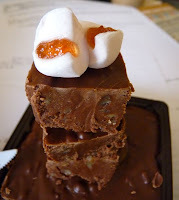 And thought I might build my own rocky road dish, with the fudge as a starting point. Chocolate. 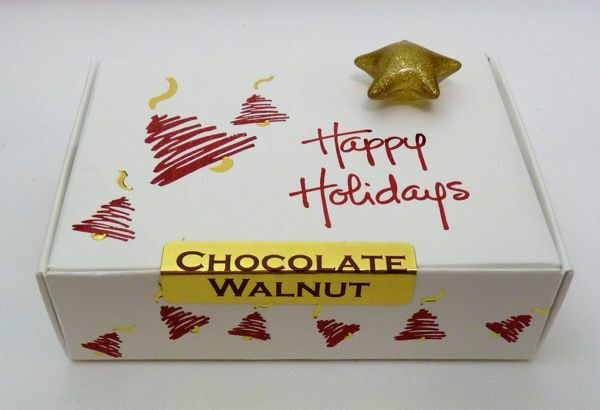 Walnuts. All I needed was a marshmallow. I'd read that rocky road desserts in other parts of the world incorporate chocolate, nuts and marshmallows -- and also cherries, or strawberry sauce. That information (correct or not) was enough to send me off into a creative frenzy of experimenting with variations on this theme. 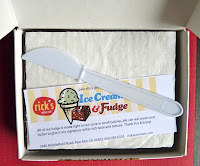 My conclusion: Rick's Rather Rich Chocolate Walnut Fudge was good all by itself, but it can also be part of a larger dessert tray, or other combination. 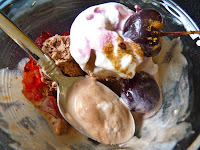 I went about messing with left-over rocky road ice cream with strawberry jello and sweetened cherries and whipped cream. It seemed to cry out for a dash of cinnamon on top, and indeed it was better that way. The trick with these mad scientist experiments -- don't take it too far. So, I quit while I was ahead, and ate the whole mess.